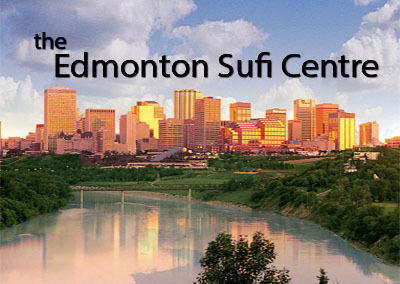 The Edmonton Sufi Centre is guided by David Murray and meets weekly on Tuesday evenings at David's office. 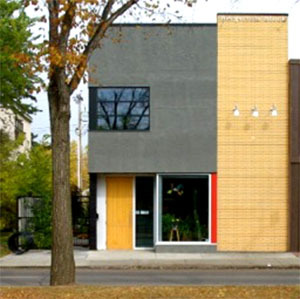 The meetings start at 7:30 and are usually attended by up to 6 people. We start with friendly conversation followed by practices such as the Purification Breaths and a wasifa using the compositions of Hidayat Inayat Khan. The evening ends with the Singing Zikar. 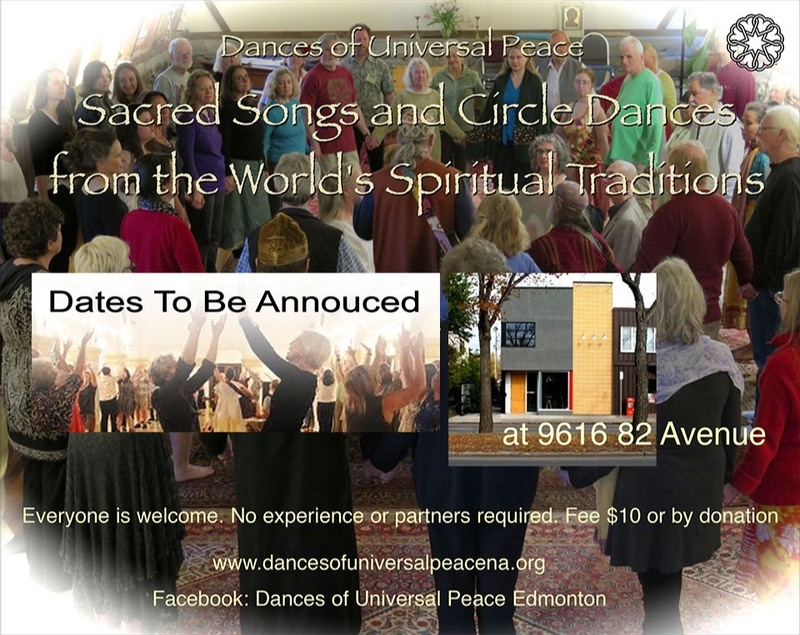 David also hosts the monthly Dances of Universal Peace that are led by Khabira Auni Amini. Please see the poster below. 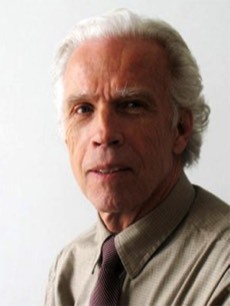 Occasionally David works with individuals, as requested, on the advancement of various practices, such as Pranayama. The Edmonton Sufi Centre is guided by David Murray and meets weekly on Tuesday evenings at David's office. 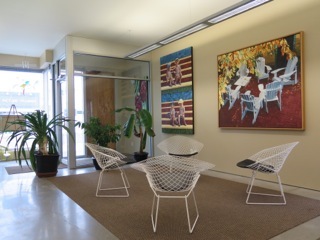 The meetings start at 7:30 and are usually attended by up to 6 people. We start with friendly conversation followed by practices such as the Purification Breaths and a wasifa using the compositions of Hidayat Inayat Khan. The evening ends with the Singing Zikar. The Sufi Studies evenings will continue through the winter. 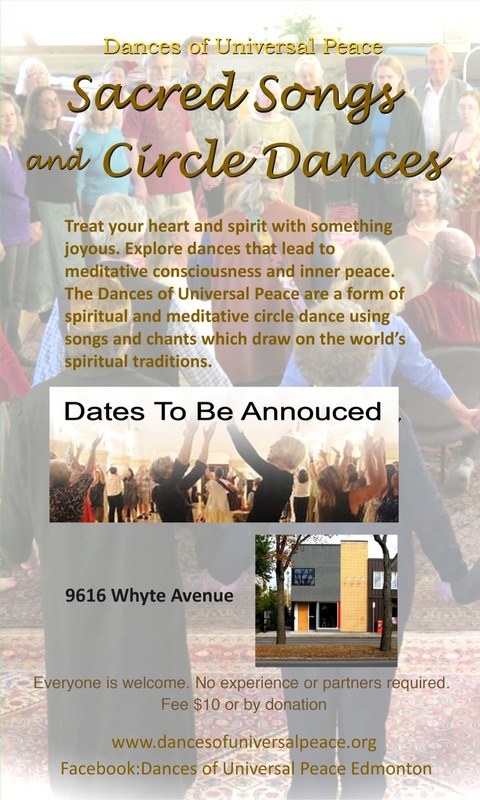 Generally they will be held on Tuesday evenings, except the third week of the month, when the Dances of Universal Peace are also held at David's office on the Thursday evening.